While we anxiously wait for a new parcel to arrive from Roterfaden in Germany... 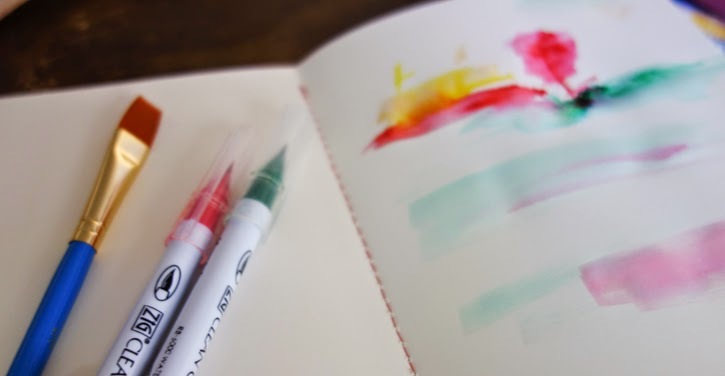 I thought I would share a little watercolor experiment on their Sketch notebook. I wetted some parts of the paper quite a bit but it seemed to hold water pretty well. Some of the darkest spots did show through on the other side of the paper. 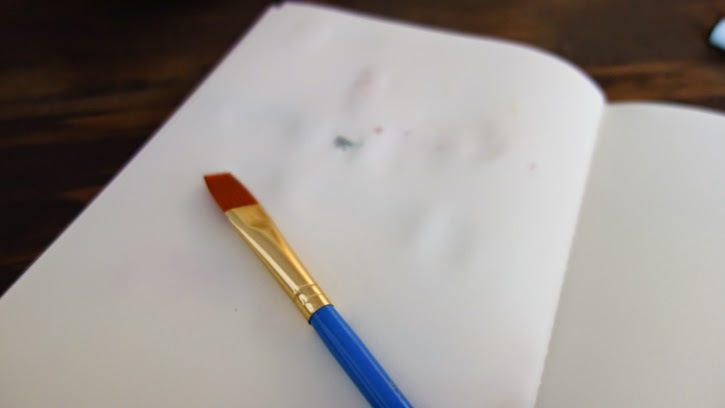 When I first touched the paper with wet brush, paper seemed less absorbent of the water than the watercolor paper I have used before... but I am far from being a professional painter so I hope the pictures do some justice in describing the compatibility. 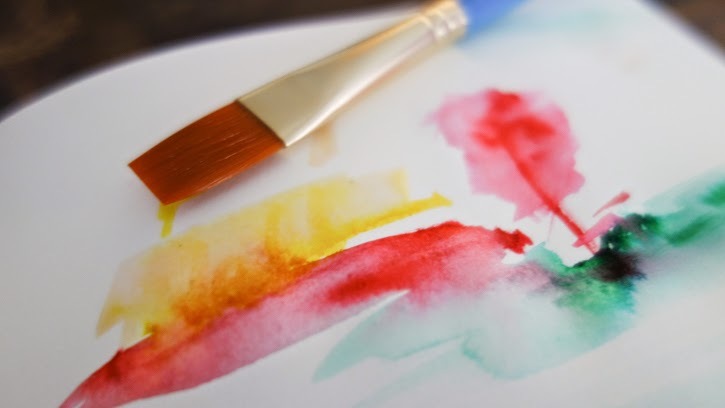 I know that the paper and pen (paint) combination is really personal and subjective to each one of us... so hopefully you have a chance to try it out too!